Hello! Paper and Such is sponsering the OWH challenge today! It is a color challenge. I love the look of cards made with a Kraft base I need to do that more often. 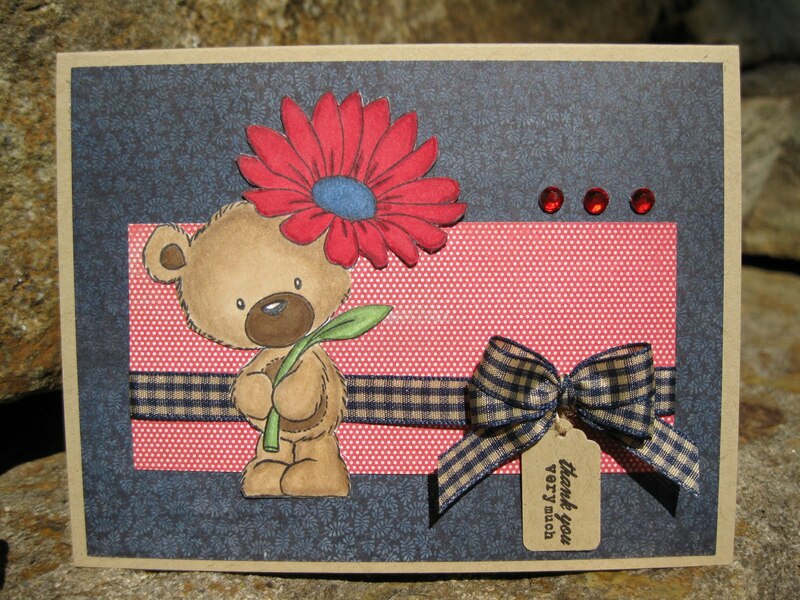 I used the Wild Rose Studio Milton with Daisy on my card. Paper and Such carries this line in their store. Hope you can play along, the prize is a Paper and Such stamp set of your choice. Thanks for stopping by list of the challenges this is for is below! now how awesome is that, he's adorable!!!! Adorable! The image is too cute and I love the sentiment on the tag hanging from the bow. Thank you for playing along with us this week at Papercraft Star! Very cute! I want that tag punch now. Ugh you are killing me with all the cool goodies. Your card is lovely, Milton I could take him home, simply gorgeous. Awwww this is super sweet! This is an absolute cutie!